Helen LaVerne Potter, age 91, passed away on Monday, August 6, 2018 in Troy, Ohio at Koester Pavilion. Helen was born May 7, 1927 in Cincinnati, Ohio to the late Joseph and Almeda (Fuller) Schmidt. Helen was married to Daniel T. Potter, who preceded her in death on January 19, 1999. 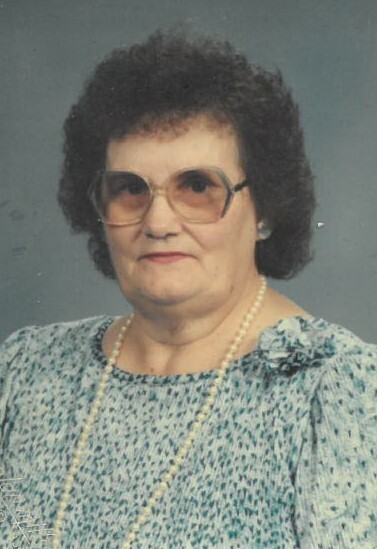 Helen is survived by 3 sons: Joe (Julia) Potter of Troy; Philip (Suzanne) Potter of Denver, NC; and Mark Potter of Denver, CO; 6 grandchildren and 5 great grandchildren. In addition to her husband and parents, Helen was preceded in death by brothers Robert and Charles Schmidt and sister Marguerite Clark. Helen was a member of the First United Methodist Church, Troy and was a Den Mother in the Cub Scouts. She was also a volunteer at Stouder Memorial Hospital, UVMC, and the Friends of the Library. Helen was an advocate of the Alzheimer’s Association. Private family services for Helen will be held at a later time. Memorial contributions may be made to Hospice of Miami County, P. O. Box 502, Troy, OH 45373. Condolences may be expressed to the family at www.bairdfuneralhome.com.